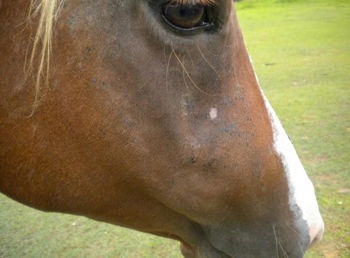 In December 2010 my horse was diagnosed with signs of big head disease. The swellings on each side of her head were extremely large and appeared over a matter of weeks. She was reluctant to go forward and spent hours each day standing around with an extremely depressed look in her eye. Her coat was dull. When she was ridden it was almost impossible to get her to canter and when she did she had very short, choppy strides. Apart from the facial swellings the other signs I mentioned appeared twelve months before she was diagnosed, however, as I was unaware of the early signs of big head disease I thought that she was just being difficult to ride and not wanting to go forward. This diagnosis was an extreme shock to me as I had always fed my horses dicalcium phosphate (DCP) powder and what I thought was a good quality vitamin supplement. My horses had all been fed lots of Lucerne hay (as they say it helps to prevent big head disease) and top quality pre-mixed feeds. 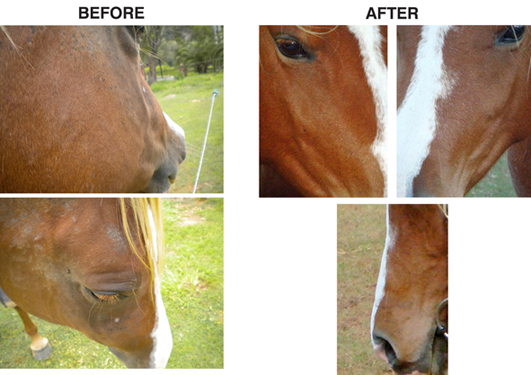 Each product I used more or less said no matter what your horse is grazing on they will work for big head disease! Absolutely NOT! My horses were grazing on almost 100% Siteria grass which is extremely high in oxalates and depletes the body rapidly of calcium. My mare showed a number of issues that were caused because of our grasses such as not wanting to go forward, depression, head swellings, short stepping and a short, tight canter. As soon as I noticed the head swelling I called out a vet to take blood tests (for her general unwellness) and x-rays of some of her long bones. The tests confirmed that she had a case of big head disease and whist he was at our property told me that our other horses also had signs however not as obvious as my mare. He also said that an extremely high amount of horses in Queensland, Australia have big head disease however their owners are unaware because they are not looking for the slightest changes that occur in the beginning. I did notice the changes twelve months before however had no idea that they were linked to big head disease. The changes I noticed very early were signs of depression, not wanting to go forward, intermittent lameness and a very dull coat. I mainly do pleasure riding, basic flat work and study natural horsemanship. Our ground work involves jumping and good, fast turns on the hindquarters, something which she found almost impossible over eighteen months ago. If I was to have ignored these symptoms and not done anything about curing her by now she would have not been able to perform any of the tasks I required her for. I spent hours searching the internet and talking to vets basically to be told to double the DCP or dolomite dosage rates for twelve months to cure her completely. I was also told that by using DCP or a product like dolomite that this would never have happened. It did! I was also using a good quality vitamin supplement as well and we still ended up with big head disease! In May 2011 we had a follow up of x-rays which showed the big head completely cleared! I had noticed that the swelling had gone down and that my horse had amazing forward with no short stepping and silly bunny hop canters. If anything I had to keep asking her to slow down! She had gone from a depressed horse that was slow, uninterested in life, dull and often had intermittent lameness, to a glowing happy horse that showed absolutely no signs of lameness and was extremely happy to go forward at a nice, fast pace. To achieve these results I doubled the 100% oxalate dose rates of the highly absorbable calcium/magnesium for eighteen months (however she cleared up after fifteen months). We never missed a day. I kept her on only grassy hay and no longer fed any type of Lucerne. I added the recommended salt daily along with the high quality vitamin and mineral supplement and a toxin binder, as well as additional highly absorbable magnesium. Unfortunately I was unable to keep her off the oxalate grasses, however, with following the Gotcha feed plan she is free of big head disease and has remained happy and healthy. I am so pleased to have done the research on big head disease and oxalate grasses which led me to finding Lucy. I am a truly dedicated horse owner and was going to make sure 100% that my mare would be cured along with my other horses being treated just in case. It truly does take time and dedication to help these horses. 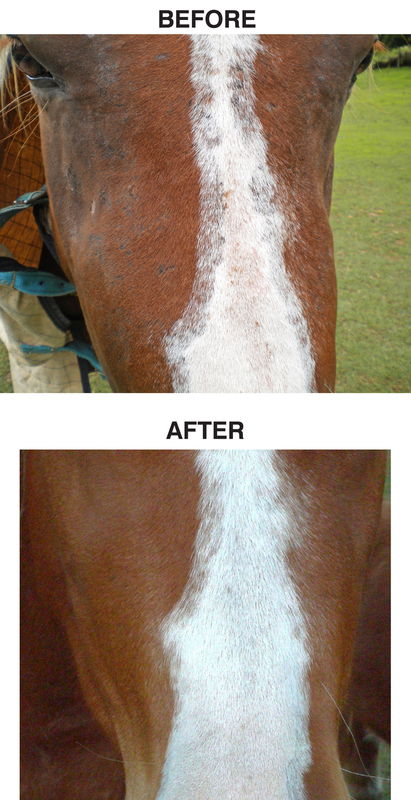 I cannot stress enough to other horse owners out there whose horses may be showing the same symptoms as mine that you can completely cure them as long as you are dedicated to giving the higher doses of highly absorbable calcium/magnesium for at least twelve months or more. Along with that of course is a balance of magnesium for absorption, vitamins and minerals, salts and foods low in potassium. 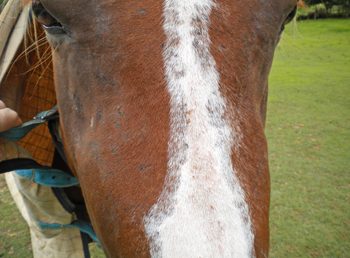 I hope this short report is able to help other horse owners recognise the most subtle symptoms of big head disease and so they get onto the treatment early. Big head is preventable, if you know how. Belinda Bass - South East Queensland.